Hilda performed on Show 322 in Davis, CA, on March 18, 2016. 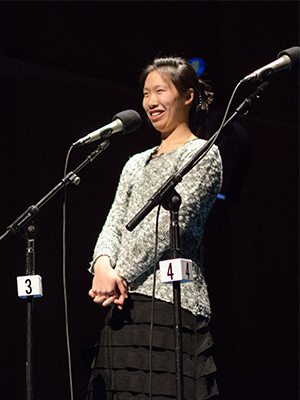 Hilda Huang (piano), is a third-year chemistry major at Yale College and studies the piano with Melvin Chen. She has been a long-time student of pianist John McCarthy and harpsichordist Corey Jamison. She was a student in the preparatory division of the San Francisco Conservatory of Music. She was the first American to win first prize at the Leipzig International Bach Competition and the first American to win top prize at the Würzburg International Bach Competition. She first appeared on NPR’s From the Top with Host Christopher O’Riley on show 180 in Berkeley, California, on May 29, 2008.